Many diseases are 'species-specific', affecting one type of animal and not others. There are some kinds of microbes, however, which have the ability to 'jump' the species barrier (called 'zoonoses'). Usually, this involves spontaneous 'mixing' of animal and human molecular content of the microbe, creating a 'natural' hybrid variety. This is what is believed to have happened with the H5N1 'bird' flu epidemic in and possibly the outbreak of SARS in 2002-2004. Since the first H5N1 outbreak occurred in 1987, there has been an increasing number of H5N1 bird-to-human transmissions, leading to clinically severe and fatal human infections. 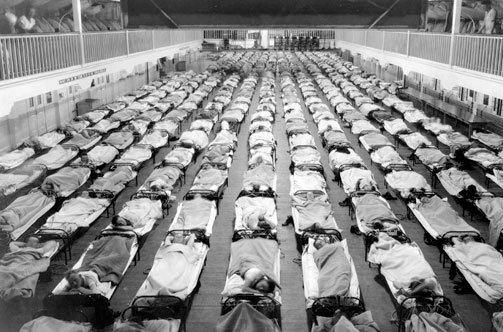 The 2009 flu pandemic (swine flu) was the second of the two pandemics involving H1N1 influenza virus (the first being the Spanish flu pandemic of 1918 , when more than 20 million people died worldwide). The 2009 version of the virus appeared to be a new strain of H1N1 which resulted when a previous triple reassortment of bird, swine and human flu viruses further combined with a Eurasian pig flu virus (leading to the term swine flu). Tularemia, caused by infection with the bacterium Francisella tularensis, has a relatively low mortality rate (5 percent) but the microorganism is one of the most infectious bacteria on the planet. 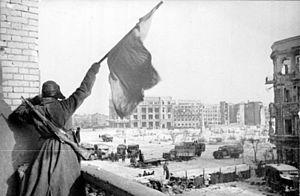 In 1941, the Soviet Union reported 10,000 cases of the illness but during the German siege of Stalingrad of 1942 (only one year later), this number rose to 100,000 with the vast majority of these cases on the German side. 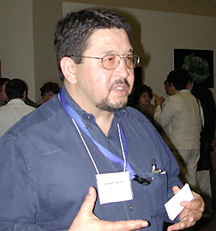 Ken Alibek (Colonel Kanatjan Alibekov), a former Soviet bioweapons researcher claimed that this surge in infections was no accident but rather was the result of biological warfare. Alibek later developed a strain of vaccine-resistant tularemia for the Soviets, before defecting to the United States in 1992. Francisella tularensis occurs naturally in many organisms but is especially prevalent in rodents, rabbits and hares. Humans infection typically occurs through contact with infected animals, infected insect bites, the consumption of contaminated foods or the inhalation of the bacteria as an aerosol. Symptoms of tularemia appear within 3 to 5 days and vary dependent on the method of infection (inhalation, bite, etc). Patients experience fever, chills, headache, diarrhea, muscle pain, joint pain, dry cough and progressive weakness. 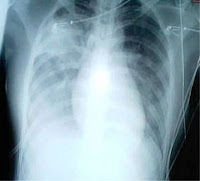 Pneumonia-like symptoms can also develop and, if untreated,can progress to respiratory failure, shock and death. Tularemia does not transfer between human hosts and can be treated with antibiotics or prevented with a vaccine. It does spread very rapidly between animal hosts and humans, however or when used in aerosol form. Severe acute respiratory syndrome (SARS) is a viral respiratory illness in humans caused by the coronavirus. Between November 2002 and July 2003, an outbreak of SARS in Hong Kong spread rapidly across the globe, nearly becoming a pandemic (global epidemic), infecting 8,422 people and resulting in 916 deaths worldwide (mortality rate of 10.9%). Within weeks in early 2003, the SARS virus had spread from Hong Kong to 37 other countries. Initial symptoms of the disease resemble those of influenza and are non-specific such as muscle pain, fever, lethargy, cough and sore throat. The only symptom common to all patients appears to be a fever above 38 degrees Celsius. Chest X-ray findings may be normal in the beginning but later show signs of severe pneumonia. There is no specific treatment for SARS. Antibiotics, effective against bacteria are ineffective for this disease, as SARS is caused by a virus. Treatment of SARS is supportive with medication to counteract fever, supplemental oxygen and ventilation support if needed. SARS cases should be isolated, preferably in with complete barrier nursing precautions taken for any necessary contact with these patients. Initially anecdotal support for antiviral medication and steroids was recommended but there has been no published evidence to supported this therapy. Chinese researchers were reported to have produced a SARS vaccine in December 2004. Reports out of China on some recovered SARS patients showed severe long-time difficulties which persist, most typically pulmonary fibrosis and major depression. Chinese researchers were reported to have produced a SARS vaccine in December 2004. During the worst of the SARS outbreak in China, in the spring of 2003, a SARS conspiracy theory emerged. Sergei Kolasnikov, a Russian researcher and member of the Russian Academy of Medical Sciences, publicized his claim that the SARS coronavirus was a synthesis of measles and mumps viruses. According to Kolasnikov, this combination could not be formed in the natural world and thus the SARS virus must have been produced under laboratory conditions (a man-made microbe). Another Russian scientist, Nikolai Filtov, chief of epidemiological services in Moscow, had also suggested the SARS virus was probably man-made. Many Chinese believed that the SARS virus was a biological weapon manufactured by the USA. The failure to verify the source of the SARS virus convinced many people that SARS had been artificially synthesised and spread by some individuals or governments. 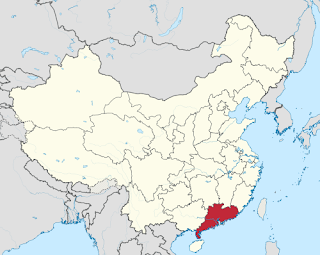 Circumstantial evidence later suggested that the SARS virus crossed over to humans from Asian Palm Civets ('civet cats), which are frequently often killed and eaten in Guandong, the area in southern China where SARS was first discovered. 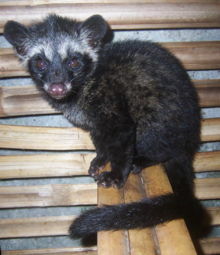 Some in Taiwan and the United States have also expressed doubts as to the civet cat source of the disease and have speculated that SARS could be a biological weapon developed by the mainland Chinese. Other scientists acknowledge the possibility that the SARS virus could indeed be man-made. Genetic material in the SARS virus DNA sequence does not match any previously known virus, implying it could have been synthesized. On the other hand, coronaviruses similar to SARS have been found in bats in China, suggesting bats may be the natural reservoir for this disease. Cultivated food crops (plant or animal) can be an effective target for a biological weapon. Deprived of food, populations weaken, panic, riot and eventually die. 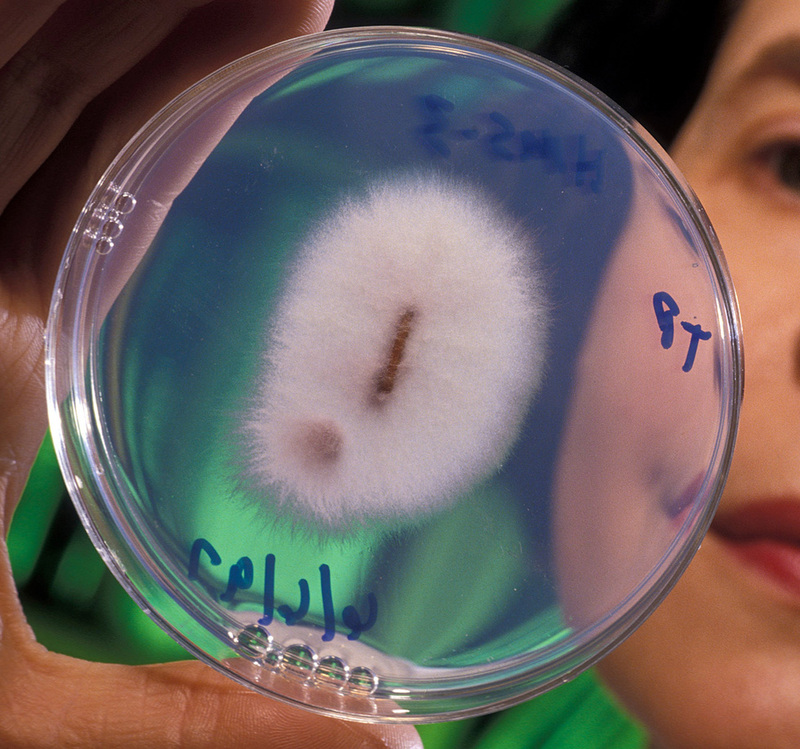 The USA and Russia have focused much deal research on diseases and insects that target key food crops. 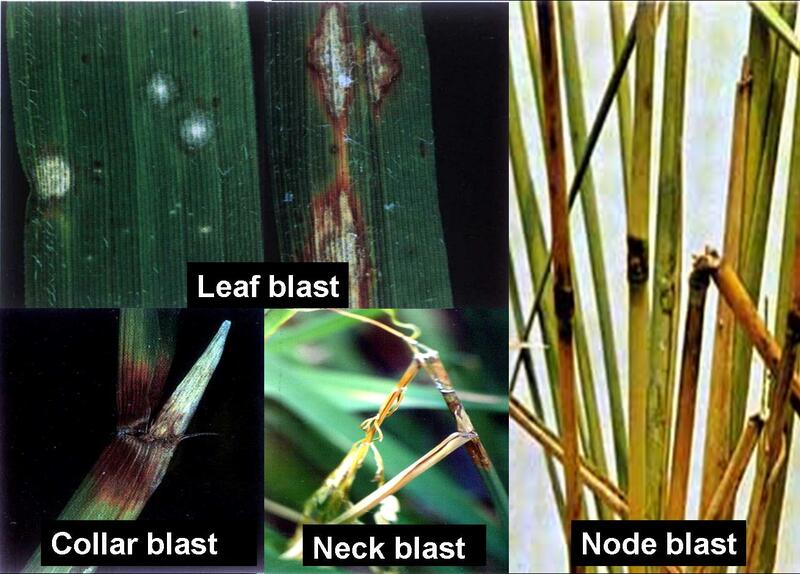 Rice blast is a crop disease caused by the fungus Pyricularia oryzae. The leaves of affected plants develop gray lesions composed of thousands of fungal spores which multiply and spread from plant to plant, draining the plants and leading to much lower crop production. Breeding resistant plants may be a defensive measure against some crop disease but with rice blast resistance would have to be bred against 219 different strains. Deployment of such a bioweapon would lead to severe starvation as well as financial losses and other huge problems. Fusarium oxysporum (a mold) has been considered as a weapon for drug plant eradication. This fungus, has devastated commercial crops such as bananas and muskmelon in the past and is under investigation for the potential to destroy coca and cannabis plants, from which cocaine and marijuana are derived. Host specificity for this mold is narrow and species 'jumping' is rare which suggests that targets plant species can be selected without posing danger to other commercial crops. 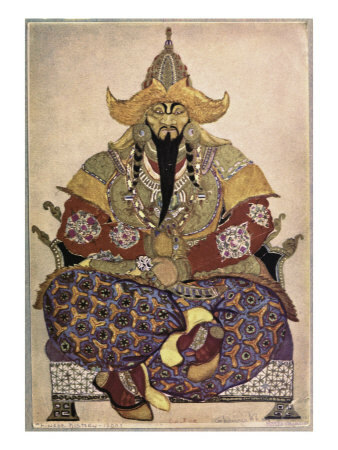 When Ghengis Khan and his 'mongol horde' invaded Europe in the 1200s, he let loose a devastating biological weapon. 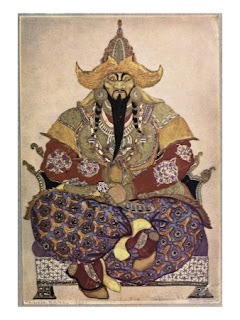 The steppe cattle used by his supply trains introduced a deadly cattle plague which became known throughout the world today by its German name, rinderpest. Rinderpest (cattle plague or steppe murrain) is caused by a measles-related virus (morbillivirus), affecting principally cattle as well as other ruminants such as goats, bison and giraffes. This highly contagious disease causes fever, loss of appetite, dysentery and inflammation of the mucus membranes. The condition continues for six to 10 days at which point, the animal typically succumbs to dehydration. The spread of rinderpest has followed the changing character of human empires, migrations and invasions, reaching out to the corners of the globe. In Africa, outbreaks have, at times, been so severe that human beings became lions' prey and herdsmen committed suicide. 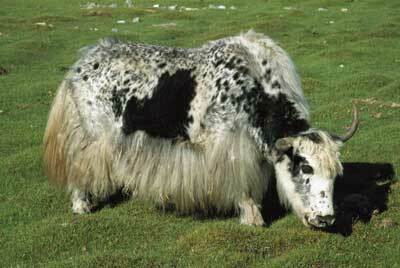 The disease likely originated in Asia (Ghengis Khan) spreading with the transport of cattle. Other cattle disease outbreaks were recorded in ancient times, including a cattle plague as one of the ten plagues of Egypt described in the Hebrew Bible. Cattle plagues recurred throughout history, often following wars and military campaigns. They hit Europe in the 18th century, with three long pandemics 1709 and 1786. There was a major outbreak covering the whole of Britain in 1865/66. An outbreak in the 1890s killed 80 to 90% of all cattle in southern Africa. Sir Arnold Theiler was instrumental in developing a vaccine that curbed the epidemic. In 1982–1984, an epidemic of the disease in Africa cost at least an estimated $500 million in stock losses. On 8 August 2011, the United Nations declared the disease eradicated, making rinderpest only the second disease in history (following smallpox) to be fully wiped out. The disease was mainly spread by direct contact and by drinking contaminated water but also by air. Initial symptoms included fever, loss of appetite, and nasal and eye discharges followed by erosions in the mouth, the lining of the nose, and the genital tract. Constipation followed by diarrhea, is also a common feature. Most animals are dead within 6-12 days of onset of clinical signs. Rinderpest was researched as potential biological weapon by the USA before that country halted its biological weapons program. Rinderpest was considered as a biological weapon because of its high rates of morbidity and mortality rate (lots of sick and dead animals), the disease's high and rapid rate of spread once introduced into non immune herds and because cattle herds in the US and other developed countries are not routinely immunized against rinderpest. Many of the scariest bioweapons on the planet have their roots in the ancient world. A few, however, are terrifyingly new. 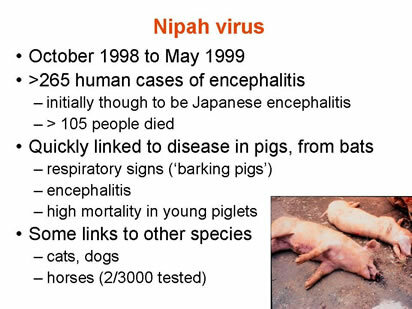 Nipah virus came to world attention in 1999 when an outbreak occurred in the Nipah region of Malaysia, infecting 265 individuals, killing 105. Ninety percent of those infected handled pigs for a living but health workers su­spect the virus naturally occurs in fruit bats. The virus may spread through close physical contact or contaminated body fluids but human-to-human transmission has not yet been reported. Those infected with Nipah suffer from 6 to 10 days with symptoms that range from mild, flu like conditions (fever, muscle pains) to encephalitis (inflammation of the brain). In the more severe cases, patients experience drowsiness, disorientation, convulsions and ultimately coma. The virus carries a mortality rate of 50 percent with no treatments or vaccinations. It is this high mortality rate which makes Nipah virus attractive as a biological weapon. Nature is continually providing the human species new ways to destroy itself. As the biological sciences have advanced, it has become apparent that natural, human diseases have not been enough and, for weapons, we needed to borrow from nature's arsenal of animal micro-organisms. * Animal Diseases in Man and Their Use as Biological Weapons: subject of research for the novel Vaccine - Amazon Kindle.